I know that my kids are quirky (one of the things I love most about them). I also know that they have tons of downtime at school because the standard curriculum is taught at a pace that is a mismatch for them. So they are constantly coming up with clever ways to pass the time at school. Mostly the answer is voracious reading, but today they told me about a new daytime endeavor – hacking other teacher’s online quizzes and trying to score well in a class they aren’t taking and in a subject they often know nothing about. After they detected I was intrigued, they gave me a tutorial on generating random numbers to gain access to miscellaneous online quizzes. With 3 computers laid out on the floor of my home office, we had a family competition on Maryland State Government, Cell Biology, Telling Time, and Anatomy (in Dutch). The hardest two quizzes were book reports where we had no idea what the title, plot or characters of the story were. In most cases it was a dead heat. These kids know a lot about a lot! More accurately, they know as much about topics they’ve never been formally exposed to in 14 years, as I know about topics I’ve never been formally exposed to in 42 years. The scary part, is that all three of us generally scored in the top half of the class as compared to students who actually were exposed to the content before taking the quiz. Unless, of course, they were also typing in random numbers to pass the time by taking multiple choice quizzes on random subjects. That either means that they do indeed know a lot about a lot. Or, it means that teachers are terrible at writing multiple choice questions which actually require you to take the course to answer correctly. The site we were goofing around on is https://quizizz.com/. Its a great website allowing educators to create interactive quizzes with gamification elements like avatars, leaderboard and funny memes. 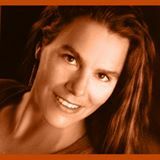 The site provides scores reports on the class as a whole and for each student. That’s the part that made me feel weird about partaking in the test-taking fun. Were we throwing some poor teacher’s classroom stats into a frenzy? Hopefully not. We tried to make ourselves obvious with usernames like “hacker” and “overlord”. Still, we definitely raised the class average – even in the Dutch language Anatomy class, go figure. To get started all you have to do is guess a random 6-digit number and hope you stumbled on an active quiz. We stumbled across everything from “what time does the clock show?” to fairly sophisticated biology questions which surely come from a high school course or higher. In all, the boys spent a solid hour accessing random quizzes from home to show me how it works. That was after accessing plenty of them during the school day because their own classes were moving too slowly. I’m still not sure how I feel about it overall. If it wasn’t messing up some other teacher’s data set, I’d be all for it. There are so many subjects in the world that you might be interested in if you only had exposure to them, so this is the Forest Gump approach to subject selection. 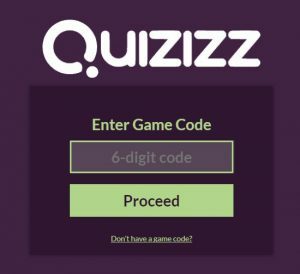 Quizizz 6-digit codes are like a box of chocolate. You never know what you are going to get.